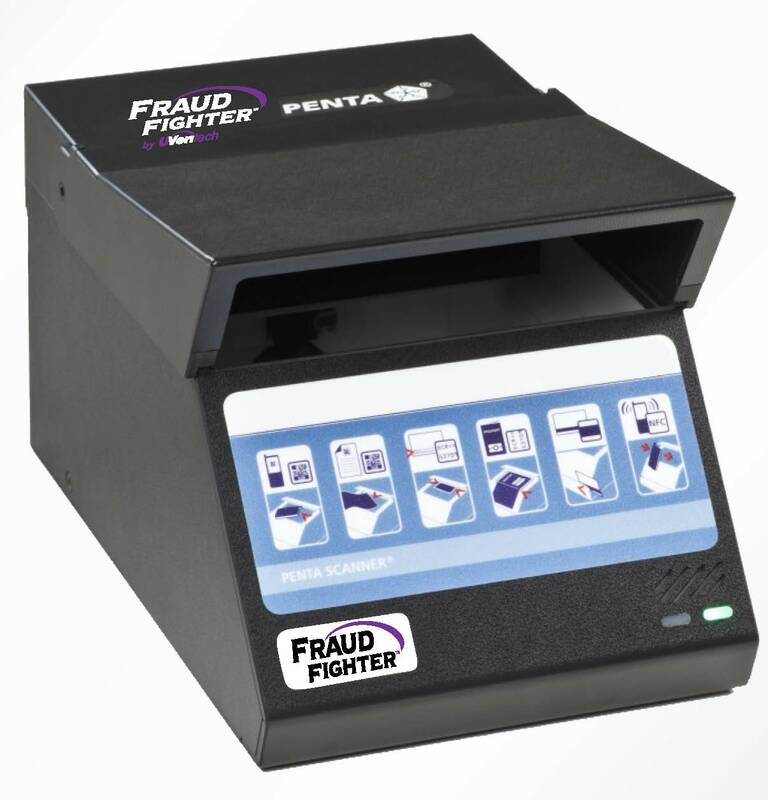 Identity Authentication lies at the heart of fraud prevention. 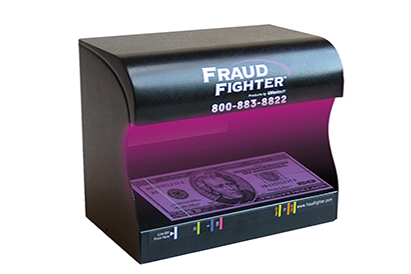 It is because criminals believe that they may conduct their behavior anonymously that they are willing to boldy attempt fraud against organizations. 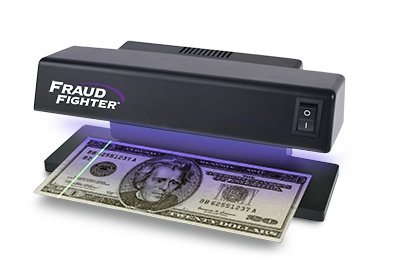 FraudFighter offers several different identity authentication options to allow your transaction-level employees to prevent the fraud from happening. 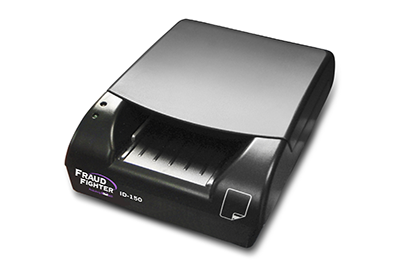 Forensic examination and authentication of ID-1 (e.g. Driver License-sized) documents. 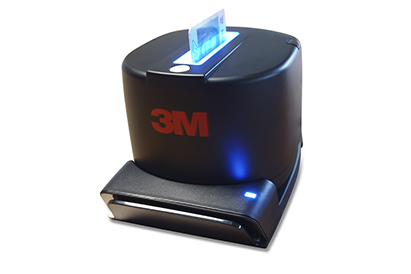 Captures images and digital data each of which may be archived or integrated to other applications. 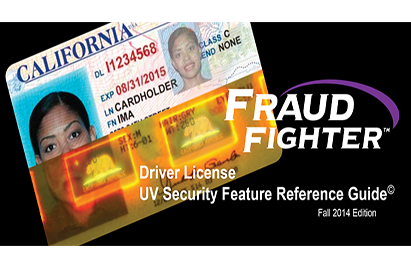 Authentication of driver licenses and larger-format ID documents such as passports. "RevealID" Global database enables high-confidence authentication of a large selection of North American and international documents. Alternative to the ID-150. ID-1 ONLY. Toaster feeder on top instead of mechanical feeder. Uses RevealID database. Capable of data export and integration to 3rd party applications. 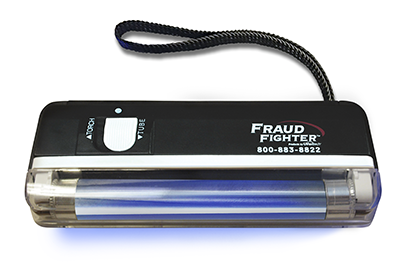 Detect fake driver licenses, passports, social security cards & other important documents by verifying UV security features. Steel Construction. 5-year warranty.